This holiday season, watch a different kind of ball drop at the Mubadala World Tennis Championship, taking place in Abu Dhabi December 29-31. Six of the world’s top ten players will compete for the title in Abu Dhabi. The all-star line-up includes world number 1 Novak Djokovic, world number 2 and 10-time Grand-Slam Champion Rafa Nadal, world number 3 and 16-time Grand-Slam champion Roger Federer, world number 5 David Ferrer, world number 6 Jo-Wilfried Tsonga and world number 16 Gael Monfils. 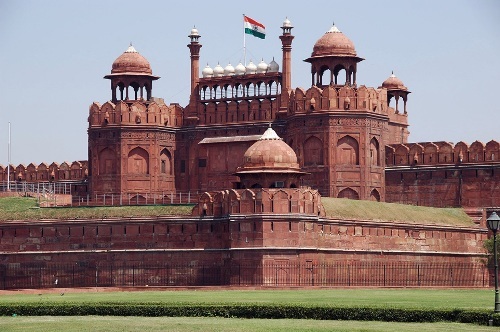 Happy, Happy birthday to the city of New Delhi today! The foundation of the city was laid on December 15, 1911 by King George V and Queen Mary. Since that date, it has become one of the fastest growing cities in the world with a population of 19 million! Stop by to give your best wishes and see how well it’s aged with Banyan Tours & Travels. The bespoke tour company can arrange an itinerary to see the city’s sights and many cultural offerings! Here’s to another prosperous 100! crystal serenity rescues capsized rowers! Crystal Cruises’ Crystal Serenity rescued two rowers this morning while en route to St. Maarten from the Canary Islands. The rowers’ small boat capsized 480 miles west of the Canary Islands after a large wave sunk their boat. Twenty-three-year-old Tom Fancett from the U.K. and Tom Sauer from the Netherlands, competitors in the 2011 Talisker Whisky Atlantic Challenge Race to row across the Atlantic, were huddled on a tiny life raft for 10 hours before being picked up by Crystal Serenity at 6:00 a.m. local time. The ship was 120 nautical miles north of the rowers when it received the rescue assist call from the Falmouth (U.K.) Coast Guard. Sailing at full speed to the boaters, Captain Økland maneuvered Serenity through the remaining Atlantic Challenge racers and worsening weather. With lookouts posted throughout the night, Crystal Serenity located the boaters’ flare five hours later, hoisting them directly onto the ship. After a checkup in the ship’s medical center, the survivors appear to be healthy. Crystal Serenity expects to arrive on schedule in St. Maarten on Sunday. Nantucket Island Resorts has launched a brand new weddings website (www.nantucketislandresortsweddings.com)! Featuring The Wauwinet and the White Elephant, the new site includes tips from on-property and local area wedding planners, a list of preferred vendors, suggested activities for weddings guests, catering options, bridal package details, and more. The fully updated site is the perfect resource for any bride planning a wedding on Nantucket. It’s true. 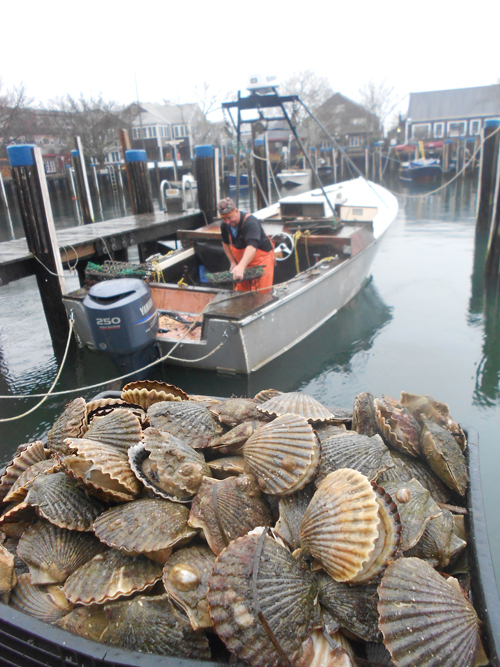 Most people think of Nantucket as a summer destination, but the spring and fall seasons – or “secret seasons” as we like to say – are an amazing time of year to visit, and ideal for weddings. The weather is fine, the stores and restaurants are all open, and there is nary a crowd in sight. Not to mention, prices are low and the hotels aren’t completely sold out! With the magnificent view of the bay and Nantucket’s coastline as a backdrop, a Wauwinet wedding is an intimate and elegant affair. Say ‘I do’ on the private beach or on the raised Zen deck and enjoy Butter Poached Lobster and Parmesan Crusted Atlantic Halibut from TOPPER’S post-ceremony. The White Elephant offers equally stunning views of Nantucket Harbor. Opt for a ceremony on the lawn or get married downtown in one of the island’s quaint historic churches. Stroll along the cobblestone streets back to the hotel for a reception catered by Brant Point Grill and dance into the night with the glimmering lights of the harbor in the background. Mark Bittman knows food, and he’s picked Copenhagen as the newest breakout culinary city. Serious foodies will be already be familiar with Noma, the two Michelin star restaurant run by chef Rene Redzepi (and Restaurant Magazine’s Best Restaurant in the World the last two years running), but Bittman’s recommendations don’t stop there: there’s also Relae (run by Noma alumni), Geist, Paustian, Schonnemann, and Kodbyens Fiskebar. From the Robuchon-style mashed potatoes with pickled brown crab at Geist, to the herring smorrebrod sandwiches at Schonnemann, each restaurant serves up traditional Danish fare with a modern twist. It’s not only the restaurants in Copenhagen that are cool—the city is also home to its very own Ice Bar, where everything from the walls and furnishings to the cocktail glasses the vodka libations are served in are made from ice specially imported from the Tome River in Jukkasjarvi, 125 miles north of the Arctic Circle in northern Sweden. The bar’s kept at a crisp 23 degrees Fahrenheit—so bundle up! 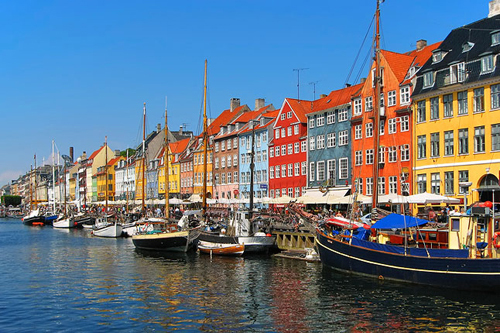 If your appetite’s been whet for the latest in creative Nordic cuisine, Crystal Symphony will be making six calls to Copenhagen in 2012, including three overnights, giving you plenty of time to sample the best the city has to offer. Book Now All-Inclusive fares start at just $5,890/person, double occupancy, through December 31. And for an even greater in-depth tour of Scandinavian gastronomy, Crystal’s Wine & Food Festival-themed August 14 sailing from Stockholm to London will feature two renowned Nordic chefs on board. There’s a reason Angel and Collins from our favorite musical, Rent, wanted to leave New York to open a restaurant in Santa Fe. The City Different was recently voted one of the Top Ten US Food Destinations by TripAdvisor! Now you can learn to cook like a Santa Fean chef at the charming Inn on the Alameda, recently named one of Condé Nast’s Top 200 Hotels, with the Taste the City Different Package. 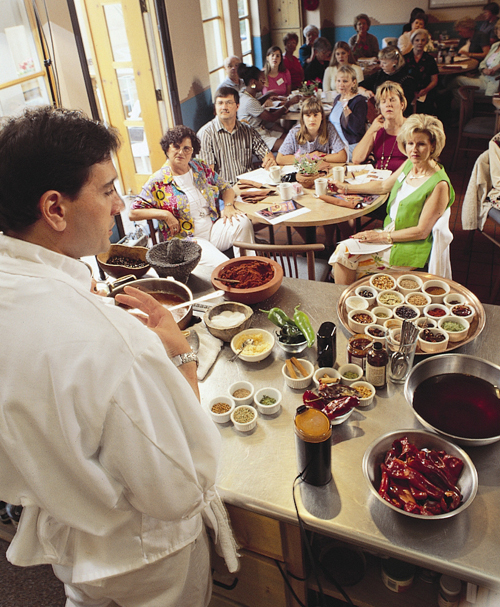 Led by a chef from the Santa Fe Cooking School, guests will take an afternoon tour of the city with four stops at unique dining destinations, where they can taste the menus, meet the chefs and owners, and learn about the eclectic mix of old and new that defines the region’s distinctive cuisine. The package also includes a cooking class, where guests will learn how to throw some southwestern flair into their kitchens at home. So jump on the bandwagon, and find out for yourself why everyone is talking about Santa Fe! To see if your favorite U.S. hotel made the list, click here!